Reduce deflection, improve handling, and maintain a comfortable quiet ride with elastomer bushing from SuperPro. SuperPro bushings are made from low-deflection elastomer, which is known for its high stiffness, low friction and excellent stability. This product greatly reduces bushing deflection that occurs during acceleration, cornering, and braking, with minimal changes in NVH. Each bushing is designed to exact tolerances, allowing for a perfect fit and increased performance for any driving style. 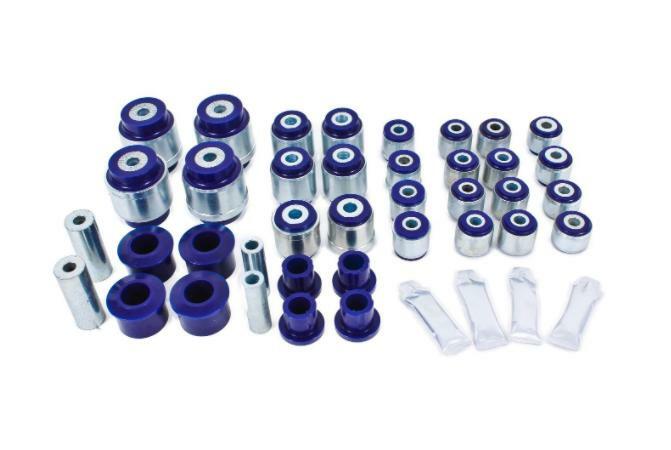 The SuperPro elastomer bushings greatly increase the rigidity and stability of the chassis to provide maximum control and consistency, with all of the articulation necessary for any form of high-performance driving. 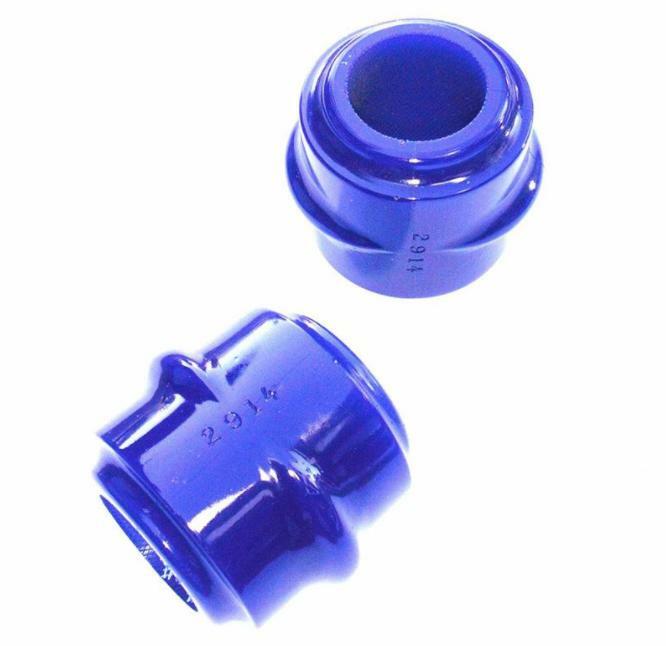 Designed for street performance, drag race, and handling applications, SuperPro elastomer bushings are perfect for any vehicle used for performance driving. The decrease in deflection will reduce wheelhop over stock rubber bushings. 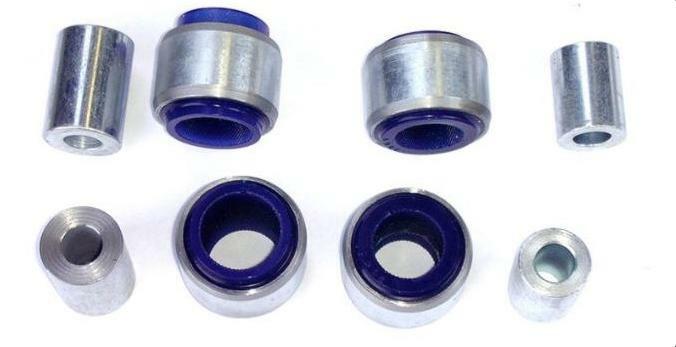 OE bushings are designed from soft rubber and produce excessive suspension movement during normal and aggressive driving. 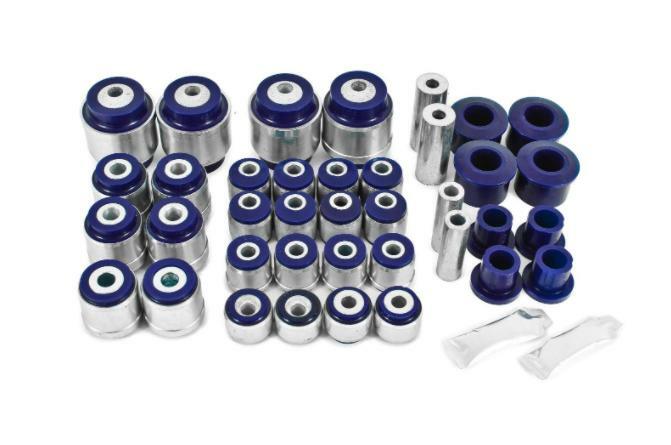 SuperPro elastomer bushings replace the OE rubber bushing, minimizing movement and increasing suspension performance. The elastomer material is hard enough to limit deflection, yet compliant enough to absorb NVH and allow for enough articulation for great handling. This incredible combination gives you a much-improved overall feel in any performance-driving situation. SuperPro bushing kits are available in blue with zinc-coated hardware. Installation time may vary depending on stock bushing removal technique. All SuperPro bushings come with a “Lifetime Warranty, with no Exclusions”. For more information, visit the www.superpro.com.au/warranty or contact BMR Suspension for details.